Based on CT-, MRT-, or DVT-images, patient individual 3D models can be created for preoperative planning of complex surgical interventions. By the help of the model, the position relation between target area and structures at risk (vessels, nerves etc.) can be analyzed. With this kind of OR planning surgeons receive additional information and can better estimate risks. All that is needed are the recorded CT, MRT or DVT data of the patient. 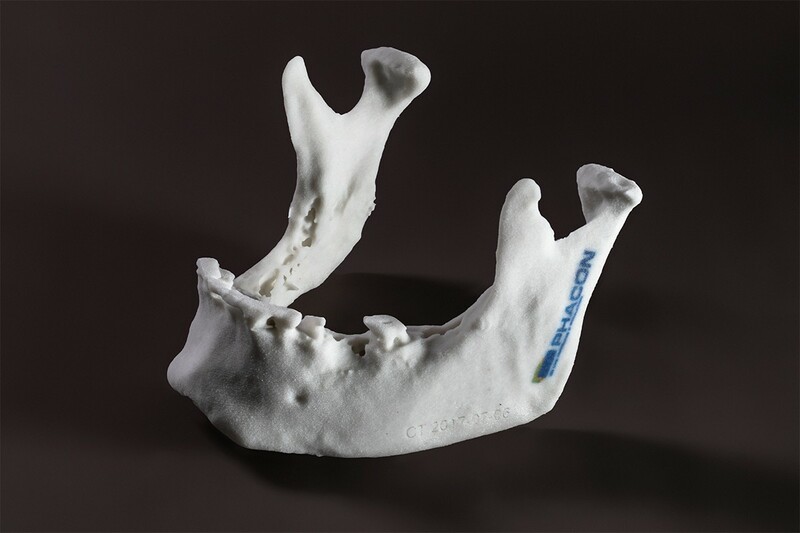 In a very short time, our customers receive the 3D model of the bone based on this record. You create and segment 3D models from CT data yourself? Simply send us the 3D-file you prepared and you get the exact model based on your specifications.